Especially aimed at storing personal protective equipment, as well as standard storage. The scuff-resistant steel shelves have a 60 kg capacity. 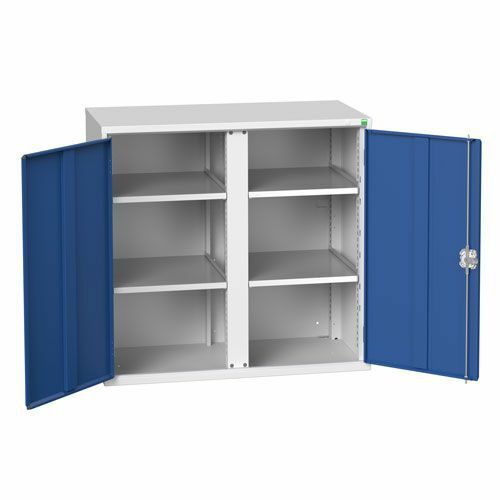 Industrial multi-shelf cabinet with solid doors, perfect for PPE storage.